Fancy learning about the history of magic, mythology and symbolism? Esoteric lecturer Ken Rees is running two evening classes in London this autumn. The first is called The Magical Consciousness and the second is entitled Fools, Shamans And Magicians: Facilitators of the Cosmos. According to the course description, these classes cover the traditions of alternative ways of thinking in cultures including Western rationality. These have been expressed in many forms including Renaissance Hermeticism, the Rosicrucian enlightenment and various angelologies from the Judao-Christian matrix and can be summed up by the term ‘the magical consciousness’. They are underpinned in symbolic discourse, mythology, Neo-Platonism and Gnosticism. Alchemy, the Jewish kabbalah and theurgy all share similar philosophies of magic that had innumerable devotees throughout the ages. They never fully died out, only being partially submerged by later scientific thinking. Increasingly, the 18th, 19th and 20th centuries saw revivals of interest in such traditional thought forms and practices informing esoteric spirituality. This found expression in cultural phenomena including the Hermetic Order of the Golden Dawn, the Theosophical Society and the O.T.O. You can learn about the magical conciousness at the six-week course on Tuesdays evenings from 8pm to 10pm, starting on 18 September and running until 23 October. Fees are £47, or £16 for concessions. If you want to enrol, The Magical Consciousness is course No: 440 at The Mary Ward Centre, Queen Square, London WC1N 3AQ. For more details, call 020 8671 6372, e-mail: kenrees@talktalk.net or visit www.marywardcentre.ac.uk. For enrolment, call 020 7269 6000/6005. 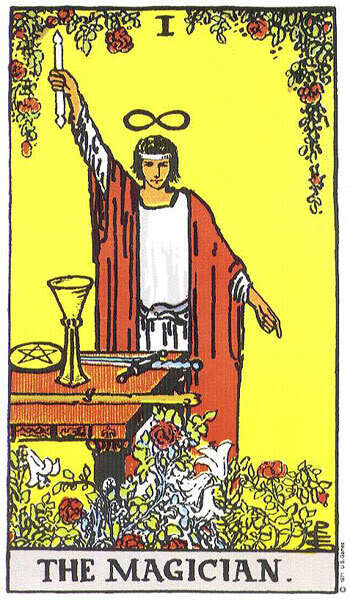 The Fool, Shaman and Magician all carry archetypal imagery and are abiding figures across time and cultures. This course explores all three as agents of cosmic and human integration via their healing, initiatory and teaching roles. Classes examine the role of the fool, the jester and the trickster in mythology, literature and society to illustrate what lessons this complex figure may have to teach us today - for his/her higher wisdom, expressed both in tragic and comedic aspects, finds a resonance in everyday life and in our own personalities. In turn, the course clarifies the meaning of the terms `shaman’ and `shamanism’, recognising the cross-cultural breadth and historical depth of this phenomenon. The shaman’s role is distinguished from other inspirational specialists. Contemporary expressions of revived shamanism will be identified and the value of a shamanic perspective for personal development will be appraised. 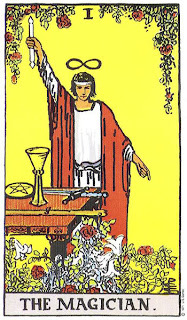 Finally, the place of the magician both past and present will be considered – as a manipulator of hidden realities, a practitioner of esoteric skills and aspirer towards a higher self. The continuing role of magic in today’s world will be evaluated, giving examples of key figures and significant orders in the field, including John Dee, Aleister Crowley, Dion Fortune and post-modern chaos magic. There is an `elective affinity’ between these three character-types. They are the leading players around which our inner cosmos and wider universe revolves, moving the energies of both inner and outer worlds. The Fool, Shaman and Magician is a six-week course on Tuesdays evenings from 8pm to 10pm, starting on 30 October and running to 4 December. Fees are £47, or £16 for concessions. If you want to enrol, it is course no 441 at The Mary Ward Centre, Queen Square, London WC1N 3AQ. For more details, call 020 8671 6372, e-mail: kenrees@talktalk.net or visit www.marywardcentre.ac.uk. For enrolment, call 020 7269 6000/6005.